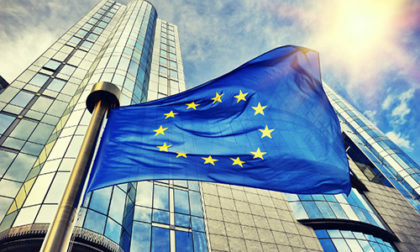 In a move that has implications for the health and viability of the European Union itself, the European Commission announced on Thursday that it is dropping all online-gambling enforcement actions against European Union member states. The impact of the EC’s withdrawal from the adjudication of online-gambling disputes will likely cause a ripple effect through the Europe-facing online gambling industry. Perhaps most importantly, the EC’s withdrawal from such disputes will allow many EU member countries to firewall their online borders, creating barriers to market entry, ultimately reducing market competition. Such barriers have often been created at the behest of individual countries’ state-run lottery operations, which have sought to limit competition for consumer’s gambling bankrolls. The EC’s withdrawal from considering such matters raises the likelihood of more such cases as the current licensing battle underway in Germany, where that country’s state-level ministers have continue pushing forward a regulatory regime that contradicts EU trade law. Removing the European Commission from the battleground will inevitably make operator licensing more restrictive. That in turn will narrow the number of operators seeking such licensing; the move in general should favor larger operators over time, though the online industry is displeased in general at the news. The EC’s failure to stand behind its own tenets may also represent a blow to several online-gambling industry hubs. Locations such as Gibraltar, Malta, Alderney and the Isle of Man have enjoyed market access across much of the EU. Some of that access has been endangered by the UK’s “Brexit” from the EU, and for others, similar barriers to access may now find a freer path to enactment. The Court of Justice of the European Union has repeatedly recognised Member States’ rights to restrict gambling services where necessary to protect public interest objectives such as the protection of minors, the fight against gambling addiction and the combat of irregularities and fraud. The Commission acknowledges the broader political legitimacy of the public interest objectives that Member States are pursuing when regulating gambling services. The Commission also notes Member States’ efforts to modernise their online gambling legal frameworks, channel citizens’ demand for gambling from unregulated offer to authorised and supervised websites, and ensure that operators pay taxes. With that in mind, it is not a priority for the Commission to use its infringement powers to promote an EU Single Market in the area of online gambling services. The Commission’s framing of its withdrawal from online-gambling matters, burying the reality of the retreat under the low-hanging fruit of underage gambling, gambling addiction and the like, offers scant cover to what this is really about: The EC has repeatedly failed to secure meaningful enforcement against EU member nations in such matters, and is thus throwing in the towel. That comes despite the reality that online gambling is one of the flashpoint niches seeming to have been designed for multinational, EU-level oversight.